We provide solutions that simply work. We create mockups, responsive designs, illustrations, content, bespoke web software. Digital has become a way of life. We strive to replicate our real identity and store it online. We are constantly connected to the world of information through the medium. We happen to be from a generation that has more connections online than offline. The proliferation of devices, on an average a person owns over 2-3 devices, has made this medium the most lucrative one for a business to gain mileage. Digital Advertising is a preferable medium because it is targeted, measurable and allows for a two-way communication process. Marketing, acquiring and engaging the customer happens in real time, a company can track and evaluate the performance of campaigns, build strategies accordingly and enhance ROIs. 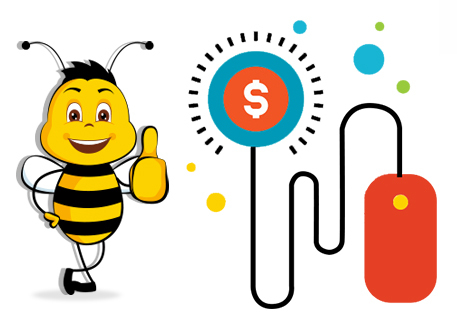 Interactive Bees provides a complete array of services which include pay per click service, impressions based and fixed banner arrangements to build a digitally successful reach that optimize the best digital assets. Interactive bees, the Pay per click marketing company helps build conversation funnels that are targeted on specific goals. 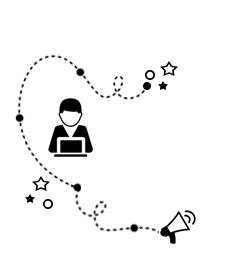 We implement industry specific campaigns build on insight behind the behavior of search engine visitors. We have always created the benchmark in the industry with our PPC campaigns and help brands calculate ROI’s on their investment. We are passionate towards building profitable solutions for brands looking to connect with the consumer. We are a PPC management company that delivers unparalleled results and turnkey solutions to clients with measurable returns.